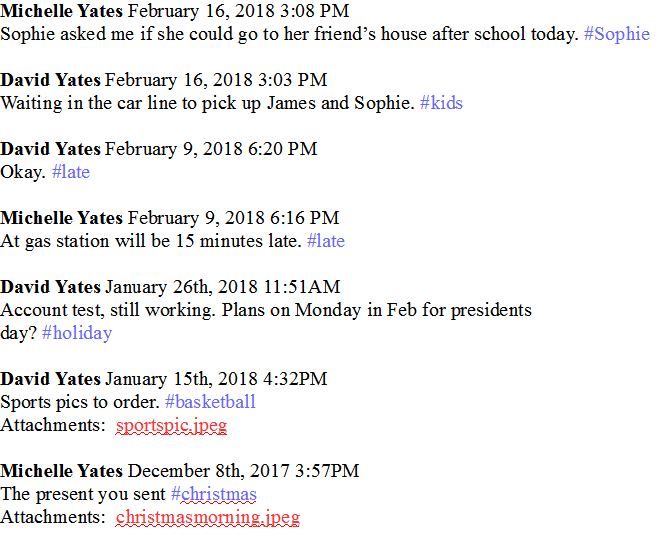 Either parent, at anytime, can save or print the log in non-editable PDF format to show every post, photo,document, and upload. No other service provides such permanency, privacy and security. Neither Email's, text messages, chat services, nor social networks enable permanent "for-the-record" communication with your ex.Make it easy to immediately retrieve and print the history of all your conversations. No piecing together texts, emails, social media posts, verbal agreements. The complete conversations include all documents and photos.